Air Duct Systems are the highways that transport hot and cool air throughout a building. They thus have a major impact on the temperature levels and comfort of your home or office. In addition, they can also have a major effect on the quality of the air that circulates throughout the structure; a dirty or contaminated duct system can create discomfort or even health problems for the people within. 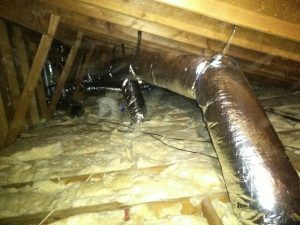 Installation —The proper installation of a duct system is one of the keys to maintaining a comfortable and healthy environment in a structure. 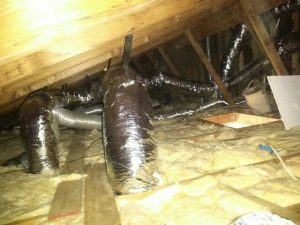 When we install a duct system, our team uses only high-quality materials and custom fits every duct to reduce leakage, ensuring you have the most efficient system available.. Cleaning —A dirty or polluted duct system can spread germs, mold, dust, and allergens throughout your building, reducing the quality of your air. 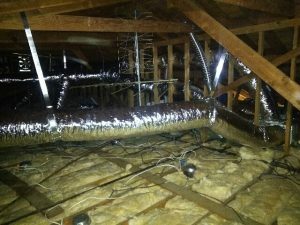 Over time, all duct system needs servicing to ensure healthy indoor air quality, as well as proper air flow. Our team offers fast, effective duct cleaning services that will help keep your air fresh, healthy, and clean. With the help of our experienced and dedicated technicians, you can be certain that your ducts aren’t lowering the energy efficiency of your home or injecting allergens and bacteria into your air. Take advantage of our services and get in touch with J Martin Indoor Air Quality, LLC and let us give you an estimate on inspecting, cleaning or redesigning your air duct system today! Indoor Air Quality is our Specialty. We utilize highly efficient air cleaning products that will improve the air purity in your home; UV light systems, humidification and dehumidification systems, allergy rated ducting, as well as high MERV filtration systems. Standard to rate the effectiveness of air filters. The higher the MERV rating, the more effective the air filtration system will be at removing harmful airborne particles in your home. Contact us today to learn more about how you can improve air purity and quality in your home! A unit of length equal to one millionth of a meter. The average size of common bacteria is 2 microns. The Environmental Protection Agency (EPA) has named indoor air pollutants as one of five top environmental risks to public health.